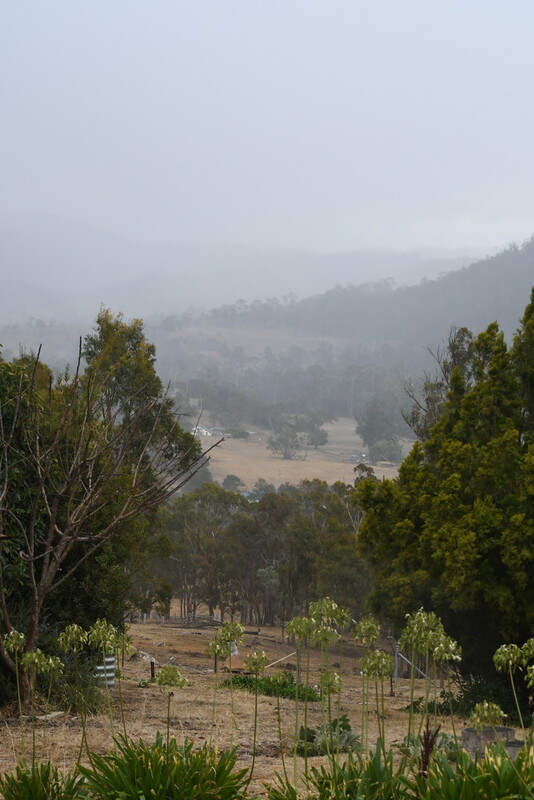 This evening we have rain in the valley in front of us. We can see it coming our way, but often it changes direction and never actually makes it to us. We currently have a severe weather warning - DAMAGING WEST TO NORTHWESTERLY WINDS, averaging 60 to 70 km/h with peak gusts of about 90 to 100 km/h are expected across Tasmania today, maintaining over most areas overnight. - I am hoping that the rain gets pushed our way. I hope you get your rain and no damage! I hope you rode out the storm without sustaining any damage. @jacqbb @merrelyn @koalagardens @taffy @777margo Thank you all for your lovely comments. We were fortunate that the only damage caused was to our sleep! The winds woke us up multiple times in the night. We also managed to get 7ml of rain, which is not alot, but better than what we have been getting and means we don't need to buy water to fill up our rain water tanks this week.. so we are happy.